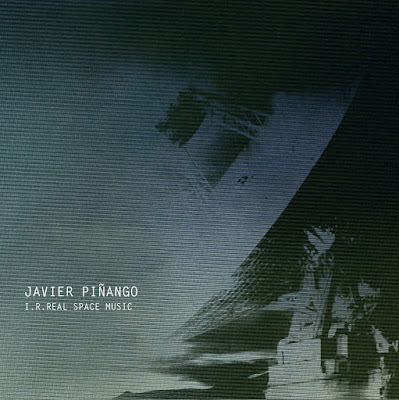 It’s been a while since Javier Piñango released his first instalment of the I.r.real project on Exp_Net (label run by himself and Jaime Munárriz). Since the first of the I.r.real series we have been able to see a ascent evolution on the language, characteristics and aesthetics of the solo project by Javier Piñango. If you hear each of the releases one can grasp this evolution, and the subsequent improvement of each of the works. Still, this doesn’t mean that the first ones weren’t good enough, just an evolution, that seen in perspective it can be considered as a tremendous achievement. So, here we have this five track album full of extreme and gritty textures and frequencies, cliffhangers (yeh, cliffhangers, why not?) and noise-alike aesthetics. No doubt that this work process has been achieved by embracing free improvisation and the gradual inclusion of the Korg MS-20 as a fundamental part of this project. A new I.r.real set up, a new opportunity to enjoy one of the finest and complex projects on noise and experimentation that one can have the chance to listen to southern from the Pyrenees. All tracks composed and performed by Javier Piñango. 2013. There is in this work a constant sense of movement, as if sounds explain the story of a journey of exploration, perhaps a search. I.r.real Space Music by Javier Piñango is licensed under a Creative Commons Reconocimiento-NoComercial-SinObraDerivada 3.0 Unported License. Creado a partir de la obra en https://archive.org/details/at064JavierPinango. Permissions beyond the scope of this license may be available at http://www.audiotalaia.net.